Over the past decade, the cloud has moved from something that was something of a novelty to an essential business service. Before, what was seen as a tech-world phenomenon that some companies found use for is now simply a part of the everyday fabric of operations. Amazon Web Services (AWS) has become one of the dominant providers and its reach now spans virtually the entire globe. The demand has grown so much in Latin America that the company recently opened a physical office in Colombia to further service its many customers on the ground. 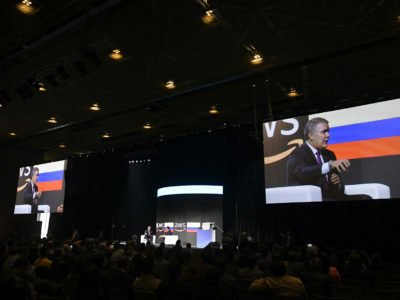 To learn more about AWS operations in the country, Finance Colombia Executive Editor Loren Moss recently spoke with Marcos Grilanda, who oversees the companies Latin American business everywhere except for Brazil and Mexico. They sat down together last month in Cartagena at Andicom 2017, the largest ICT conference in Colombia, to talk about Amazon Web Services coming to Colombia and how cloud services are growing in the region. Loren Moss: Amazon Web Services recently opened up an office here in Colombia in Bogotá. Can you tell me what prompted that? What made Amazon think that now is the right time as far as expansion here into Latin America? Marcos Grilanda: Just recalling a little bit of history, Amazon Services started a little more than 10 years ago, and in Latin America we started a little bit more than five years ago. We are continuously expanding our business. From last year to this year we decided to keep up this pace and we opened two offices: one here in Colombia, based in Bogotá, and in parallel we opened in Santiago, Chile. It’s part of our expansion plan. The main reason is to keep closer to our customers and partners, although it is not the case that we just started having customers in Colombia. We had customers in Colombia even before we started operations in Latin America, because as you know, anyone could open the website and start using Amazon Services from any part of the world. So before we were here, we already had customers. 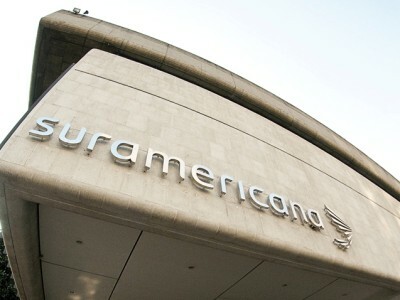 We have many customers down here in Colombia — some of them are already public, like Sura, a big, big Colombian insurance company. And we have the National University of Colombia, which has over 50,000 students, and also Deltacloud for some systems. In finance, we would also talk about Bancolombia, about NEQUI — a very important application. Now you can send money between mobile phones based on Amazon Services. 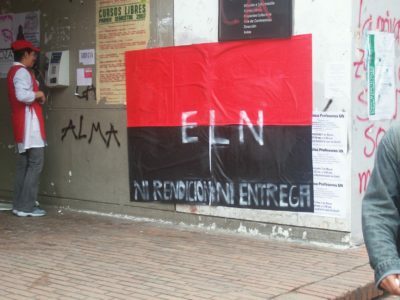 So, this is a trend that we are seeing in all Latin American countries, and Colombia is no different. We are seeing an adoption that is increasing in speed. The pace of adoption is increasing pretty fast from different industries of different sizes. Loren Moss: Amazon has really invested in promoting businesses — not just large businesses, but small businesses. I was at an event at Ruta N in Medellin, and Amazon rolled out an offer to a lot of the startups and the tech companies that were there. It seems like those people — the innovators, the entrepreneurs — get it. But in a general sense, have the obstacles been any different here in Latin America than, say, in North America or Europe in terms of adopting and getting people to embrace the cloud paradigm? Marcos Grilanda: Well, first, just to emphasize, the program that you mentioned about startups is a really important program. We are a strong supporter of startup business. They are pretty important customers to us. A startup that has already received an investment from a venture capital or an accelerator can apply to have $100,000 USD in credits. On your question about if I’m seeing that Latin America is different, I wouldn’t say that one country is different to another. I would say that the verticals are different. We started talking about startups. Startups start their businesses in the cloud. There is no other option. They don’t even think about starting a business with the traditional IT environment and say, “OK, I’m going to buy a bunch of servers or storage because I want to start a business.” They just don’t think about it. I was talking with a startup last November at our annual event that’s called re:Invent, and the startup was saying, “Well, I’ve used Amazon Services for a long time and I love their infrastructure. For example, the database.” Amazon has a service that’s called RDS: Relational Database Service. A managed database. If we go to another area — for example, e-commerce — it’s a real adopter of cloud computing because of the trends that they need to adapt themselves to things like Black Friday, Cyber Monday, or Christmas. All that requires a lot of power to deliver to the final customer. You know, you need a strong environment. We have a very important customer in Latin America that is called VTex, an e-commerce platform that has over 1,500 commerce places below their platform. They’re have very well-known customers on their platform — such as Samsung, for example— and during a “Hot Sale” on a given Monday, they can increase their IT environment to about 20 times more capacity to deliver to the final customer during a day. After that they just decrease the capacity that they’re using and keep the business. Retailers are doing great business on analyzing all the data that we have. Big Data projects are popping up, and now evolving pretty quickly. Standard industries are moving pretty fast on ERP adoption, from very small customers to very large companies that run SAP. In Brazil, we have an iron producing company, and they move their SAP environment in production to run on AWS. So, it’s not a matter of the country. It’s more a matter of the type of industry that we are talking about. Finance, for example. Banks are usually a little behind on adoption because they have some more regulations to follow. They have some more issues that they need to solve. But all around the world — and in Latin America it’s no different — we are seeing banks quickly adopting cloud computing. We talked about NEQUI. That is part of Bancolombia, but we could talk about a bank in Peru, that is BCP, or a bank in Chile, that is BCI, or a bank in Argentina, that is Comafi. So, it’s not a matter of the country. It’s much more a matter of the industry — the pace at which each industry is adopting cloud computing. community? What are you seeing from the vantage point of a prime service provider for a lot of these startups that we see down here in Latin America? I think that you had mentioned some of the companies that we even use here in Colombia are using AWS to scale and to grow. How is that from your perspective? Marcos Grilanda: We’re glad to serve those customers that can’t access the same technology that big corporations can access. Cloud computing can do this for the market, you know? Getting access to technology is not a differentiator anymore because a small company of two guys inside a garage can access the same technology that a global corporation can access at the same moment. The same technology is available. The difference is how much of it they’re going to use. So, this is a true democracy of technology. We are glad to give access to that, and we are not only giving credits to those companies. We are also giving them office hours. We have our technical team to support them on how to put their solution over our platform so as not to lose focus on their final business — what is truly important. And we are glad to hear a lot of stories from around Latin America of companies that were very successful, not only through technology, but also for entering the market pretty quickly by adopting cloud computing with Amazon Services. For example, Nubank, a credit card company based down in Brazil, has 500,000 customers. There is another 500,000 waiting for the credit card. And those guys — a Colombian entrepreneur — initiated the business in seven months. Seven months from conception to going to market. Loren Moss: Where does Amazon fit in this ecosystem? With the growth, where do you see things in two or three years in the wider IT ecosystem, and really as far as Amazon’s footprint and stance, here in Colombia and Latin America more generally? Marcos Grilanda: First of all, this cloud business is just starting. We are in the very early stages of the full potential. It’s safe to say that in the future, it’s going to be pretty hard to find a company that is not using cloud. So, we believe that the majority of companies will run, almost in totality, on cloud computing. Of course, to get there, there is a path that we call the “journey.” The journey to the cloud. And this starts by selecting an application, or a website, or a Big Data project, or a disaster recovery site. Something that is meaningful but is not that critical to start with. To start proving the cloud. To being “getting” the future about cloud computing. And then you pass through the hybrid environment. For most traditional companies, we pass through the hybrid environment where they can connect directly to our data center even, if necessary, without passing through the internet. We can offer the service to connect directly to our data centers and then start migrating on a larger scale. And in the end the majority of their services and applications are based on cloud computing with Amazon Services. This is what we understand that is going to happen with the market and we are seeing this evolving very quickly. And why? Because it’s good for the customer. It’s good for the company itself. You can save costs by doing that. We reduced our costs 62 times in 10 years — to everyone that’s using the product. You don’t have to call anyone. You don’t need to do anything. If you are using the product that had its cost reduced, you receive the benefit. We give customers the potential of scalability. You can increase the number of servers, your storage, your users in a given time. And afterward you can reduce that when you don’t use it anymore. We offer customers a huge amount of solutions. We have 90 families of solutions. Last year, we launched 1,017 different features. It’s more or less three per day. The year before, we launched 722, and the interesting point is: 90% of that is based on customers’ feedback. Loren Moss: It’s impressive because I know that there’s a podcast that AWS puts out — and I listen to it — and every week they’re going through the new features, and it’s a challenge to try to keep up with that. It’s great to see a lot of these products that would be deployed in Latin America much more slowly, but because they’re deployed over the cloud, they’re available as soon as they’re available, practically speaking, in the U.S. You don’t have to wait for a company to set up infrastructure down here. I can log in, and I can get the service and bypass 18,000 different bureaucratic steps. Marcos Grilanda: It’s available at the same moment that it’s launched. Because everywhere in the world you can access it, and make use of it.